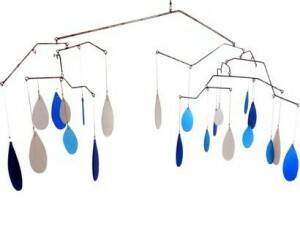 A mobile is a hanging decorative sculpture constructed to take advantage of the principle of equilibrium. It consists of a number of rods from which weighted objects hang, balancing each other and allowing movement from air current or when touched. 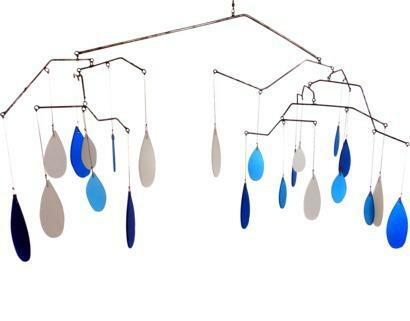 American sculptor Alexander Calder was known as the originator of the mobile. His works have become iconic pieces of art that has inspired other artists to create similar moving sculptures. Today, mobiles have become popular decor in homes and offices. They come in a variety of designs and made from such materials as metal, plastic, ceramic, shells, wood, clay, glass, paper, and fabric. 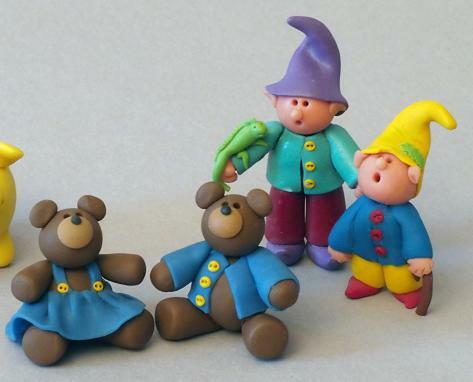 Educational mobiles for children are also popular. When shipping mobiles, proper packaging is important to prevent rods, strings or wires from getting entangled. The hanging objects must also be protected to prevent damage especially if made from fragile materials. Here are some tips on how to properly pack and ship a mobile. While still hanging, wrap the drops (objects) in bubble wrap if made from breakable or fragile materials such as glass, ceramic, shells. Metal and other hard materials must also be wrapped to prevent them from scratching each other during transit. If the mobile can be dismantled, take them apart and wrap each part individually with bubble wrap. This will prevent the rods, wires and strings from getting twisted or tangled up. If the mobile has fixed connections, just wrap each drop in tissue paper so they will not get mixed up with each other. 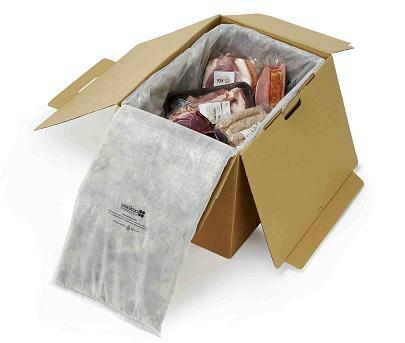 Place the wrapped mobile or parts inside a box with a layer or packing materials on the bottom. Make sure that rods and strings are not twisted. Fill the box with more packing materials. The box must be well packed to ensure that the objects inside are incapable of moving. Close the box and seal with packaging tape. Address and label the package and take to the post office or shipping company. For massive mobile installations, consider crating and hiring freighters which are experienced in moving such items.